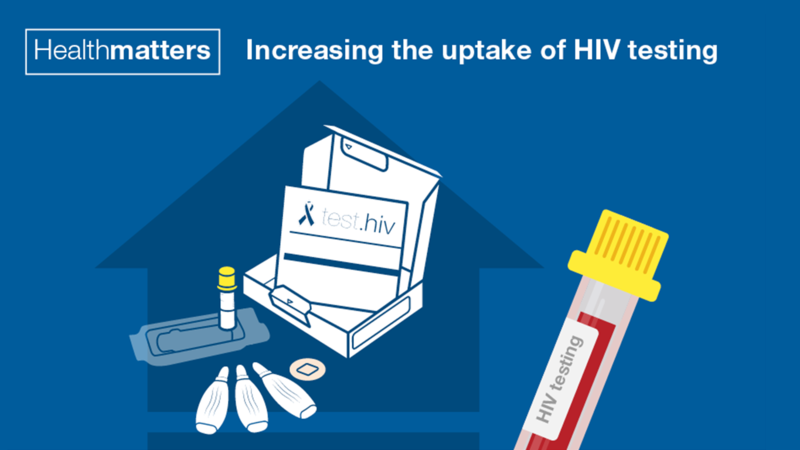 Welcome to the latest edition of Health Matters, a resource for local authorities and health professionals, which focuses on increasing the uptake of HIV testing in England (listen to our launch teleconference podcast). The UK has a long and proud tradition of leadership on HIV prevention. In less than two generations we have changed the face of HIV from a death sentence in the 1980s to one where we can now seriously consider ending the epidemic. The World Health Organisation and UNAIDS have provided a clear pathway through the 90:90:90 vision to eliminate the AIDS epidemic by 2030. Key to achieving this is a series of targets for 2020 which call for 90% of people living with HIV to be diagnosed, 90% of those diagnosed to receive treatment, and 90% of those treated to be virally suppressed. Sweden became the first country in the world to achieve this. 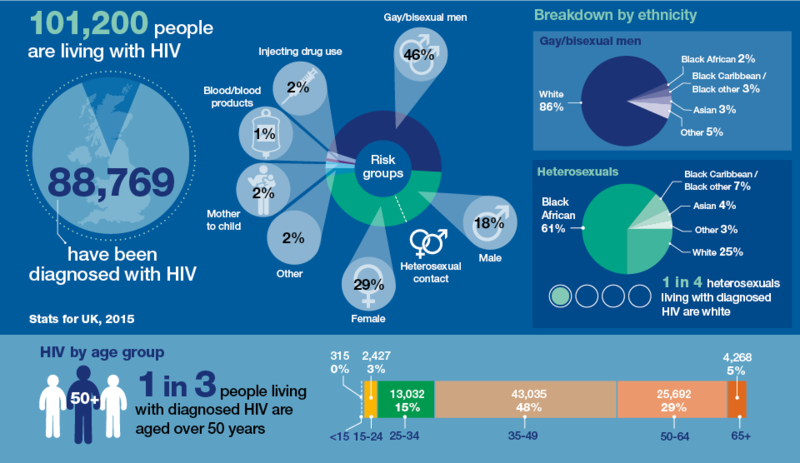 The UK has met the second and third of these targets, with 96% of those diagnosed receiving antiretroviral treatment and 94% of those treated being virally suppressed. But we are behind on ensuring that 90% of people living with HIV are diagnosed. On World AIDS day, we launch our latest edition of Health Matters which outlines actions that local authorities, GP practices, sexual health clinics, and community and third sector services can take to increase the coverage and uptake of HIV testing. This will not only help the UK to meet the UNAIDS targets but also help to eliminate all AIDS-related deaths and reduce HIV transmission. An estimated 101,200 people were living with HIV in the UK in 2015. Of these, around one in eight were unaware that they were living with the virus and may be at risk of passing it on. Testing is the only way to find out if an individual has HIV and is central to prevention efforts to eliminate AIDS-related deaths and to reduce HIV transmission. Having an HIV infection is no longer a death sentence. Early diagnosis and effective treatment means that people with HIV are able to live a normal life well into old age. However, 39% of adults with HIV were diagnosed at a late stage of infection in 2015. We know that people who are diagnosed late have a 10-fold risk of mortality within the first year of diagnosis compared to those diagnosed promptly. We simply must do better to turn this around. The updated NICE HIV guideline developed in collaboration with PHE and incorporated in this edition of Health Matters sets out definitions for areas of high and extremely high HIV prevalence that can help guide the development of local testing services. HIV tests are already available from a wide range of services including sexual health clinics, HIV testing centres, GP practices, secondary care service and even some pharmacies. 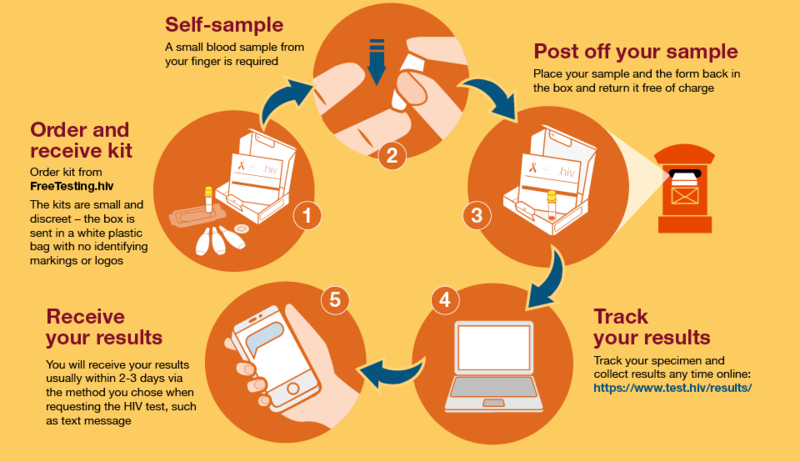 People can even test for HIV from the comfort of their own homes. In partnership with 85 local authorities, PHE has co-commissioned a national HIV self-sampling service through the website www.freetesting.hiv. Since the programme launched this time last year, over 40,000 kits have been delivered, 1.1% of which showed a positive result. This service is targeted at the most at risk populations such as gay and bisexual men and black African men and women, offering them a free, reliable and convenient alternative to traditional HIV testing. It is co-commissioned in collaboration with local authorities to ensure a fit for purpose, innovative service that meets the need of local communities. 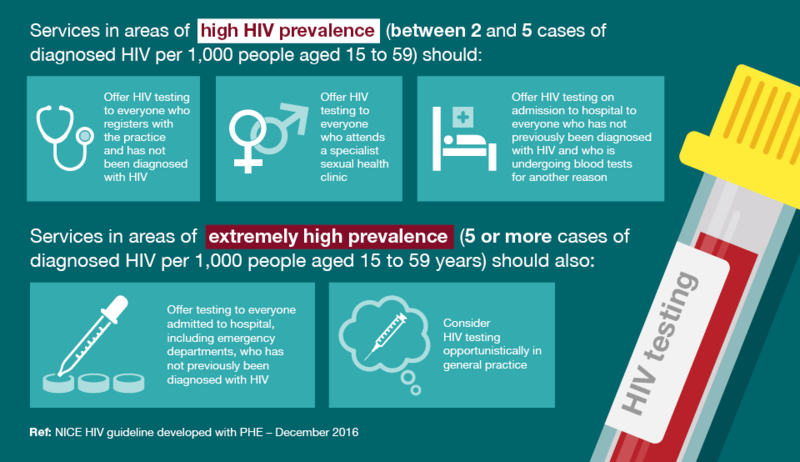 PHE is funding all home sampling kits dispatched between 7 November 2016 and 8 January 2017 in support of National HIV Testing Week – to try and reach even more people at risk. Alongside the drive to promote self-testing kits, a number of exciting projects have just been announced as part of the National HIV Prevention Innovation Fund that will help to boost testing uptake among at high risk. But we must ensure that we overcome the barriers to testing, which exist among at-risk groups and health professionals, so that people can take full advantage of such innovative approaches to testing. This edition explores ways of overcoming these barriers and emphasises the importance of normalising testing so that it becomes seen as a routine healthy behaviour that isn’t viewed any differently from any other blood test. Download the infographics, slides and video content available with this edition of Health Matters and use them locally when developing, refining or promoting HIV testing services.